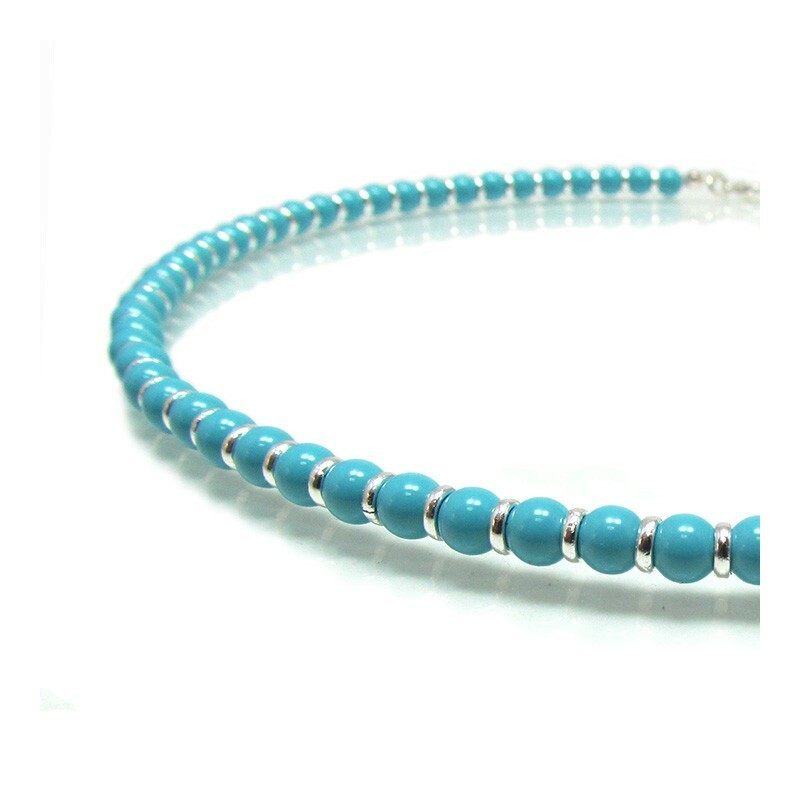 Silver turquoise statement necklace, classic jade turquoise Swarovski pearl necklace and silver links. 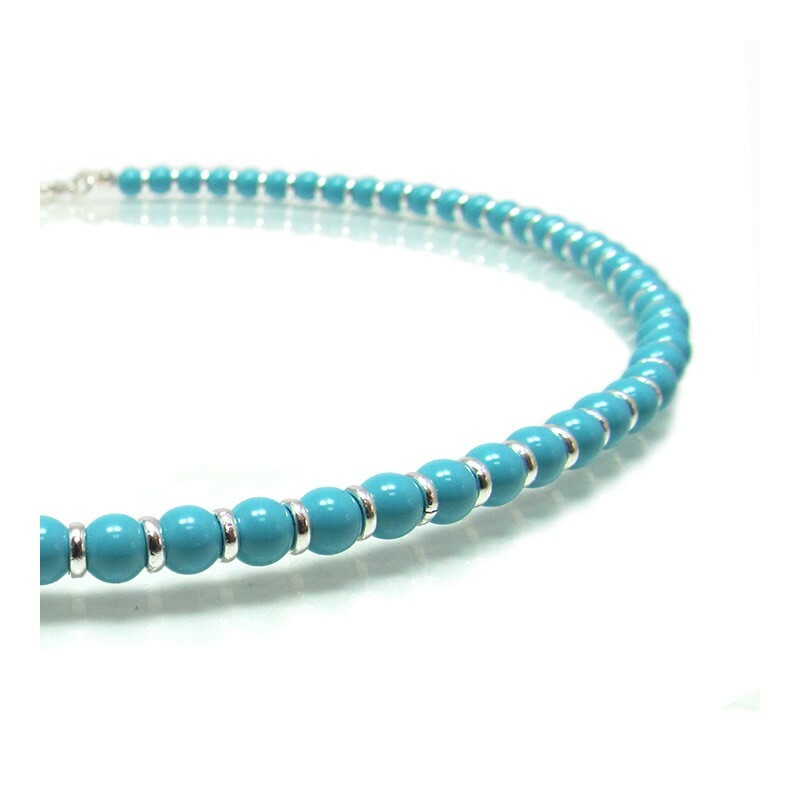 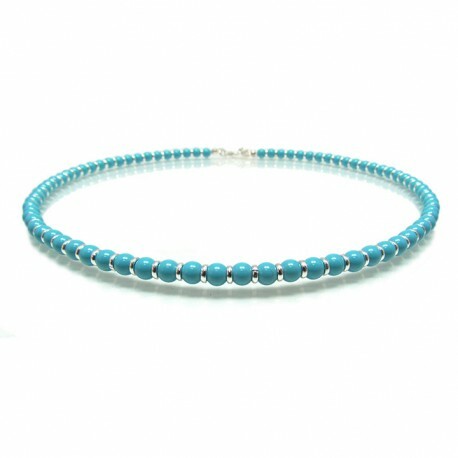 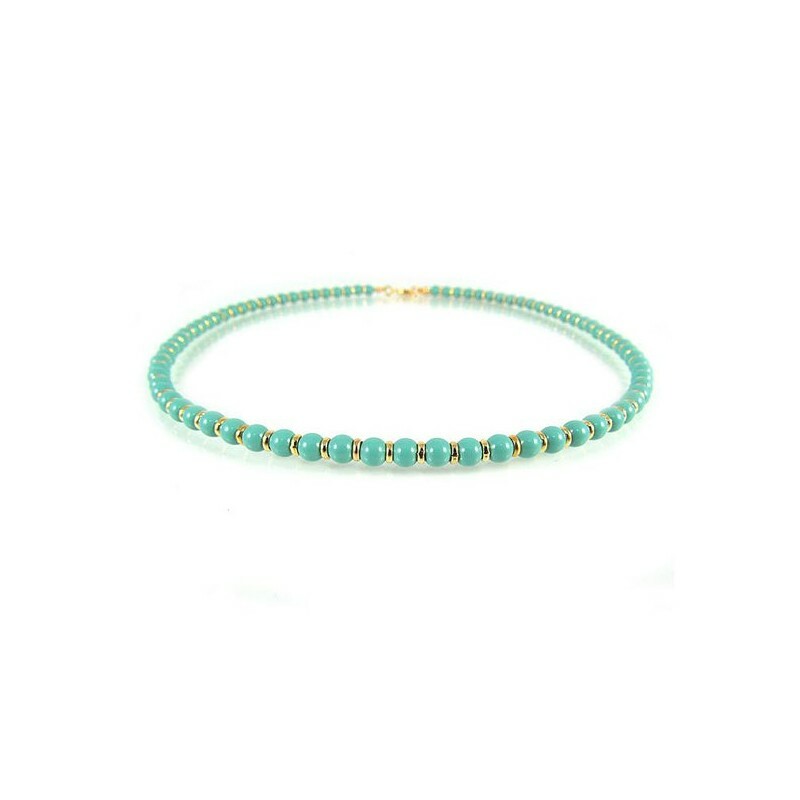 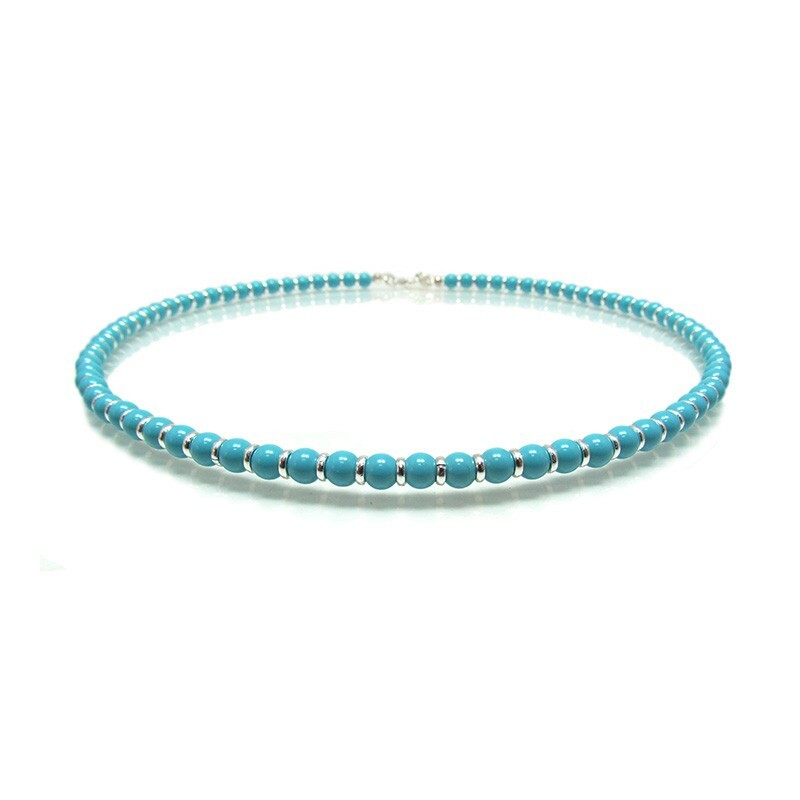 Silver turquoise choker necklace: 18"/ 45 cm approx. 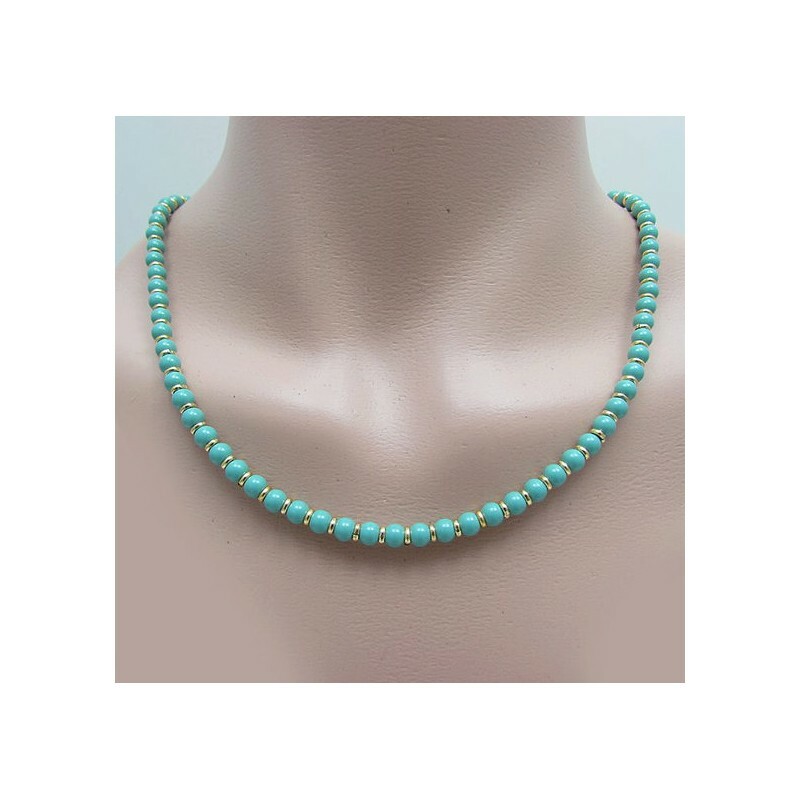 Silver turquoise statement necklace, elegant jewel for every occasion, wedding, mother of the bride, bridesmaid and everyday wear.